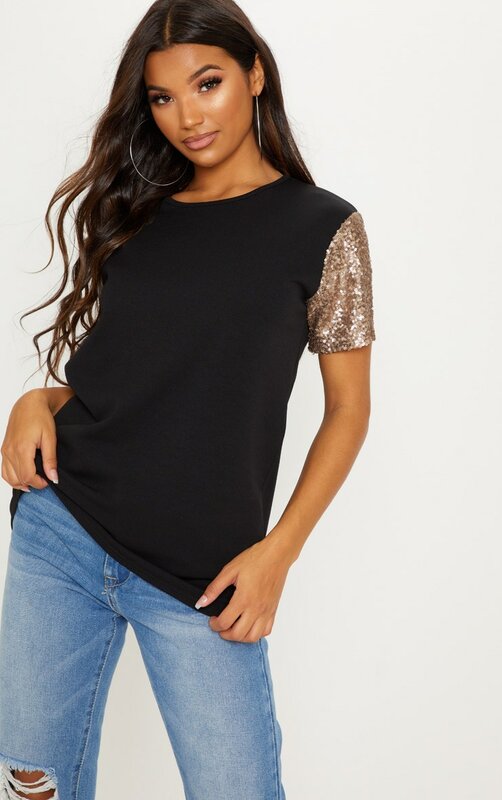 We are loving everything about this top for the upcoming festive season. 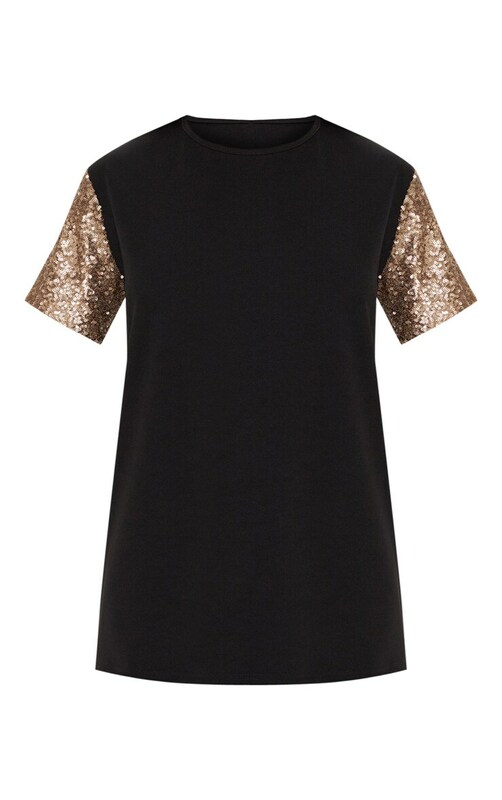 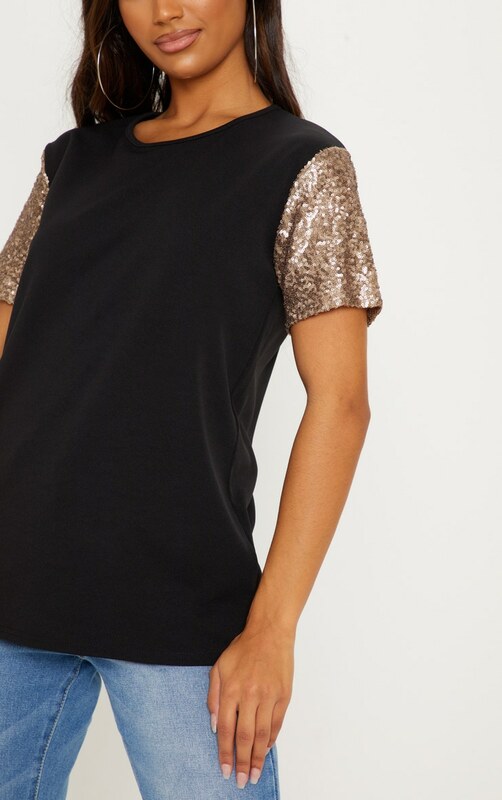 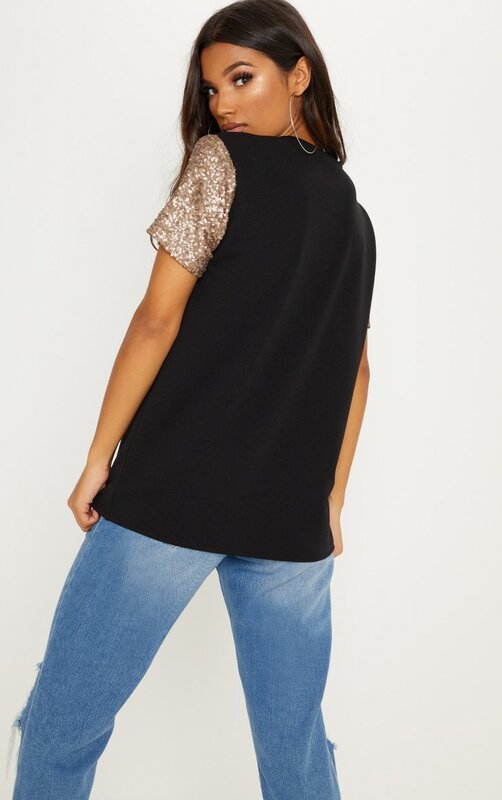 Featuring a black fabric with gold sequin sleeves and a relaxed oversized fit, you can't go wrong. 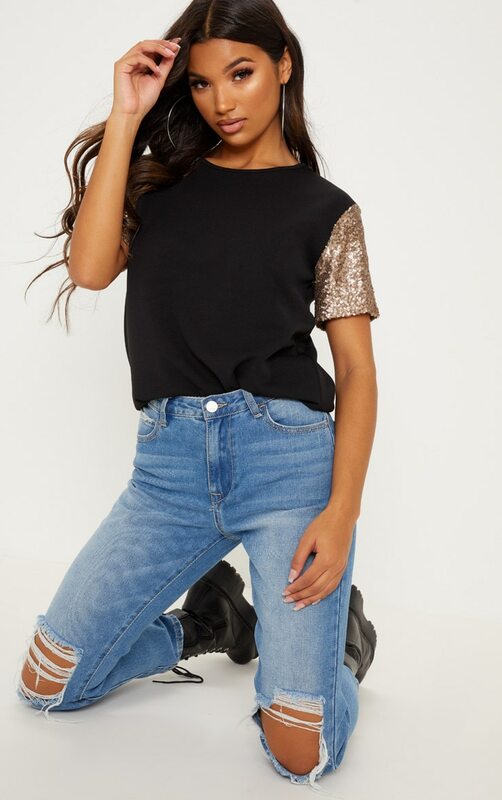 Style with ripped denim jeans and black chunky boots for a cool off-duty vibe we're obsessed with.